I am pleased that I can now offer my bridal clients a little more. I have come to the realisation that I really hate disappointing people (i’m not a fan of this at all!) I thought it made sense to have someone on hand to recommend for weddings where I need assisting but especially for brides that want to book me when I have already been booked! Jade is part of my MU Artistry Team and is a fabulously talented makeup artist. 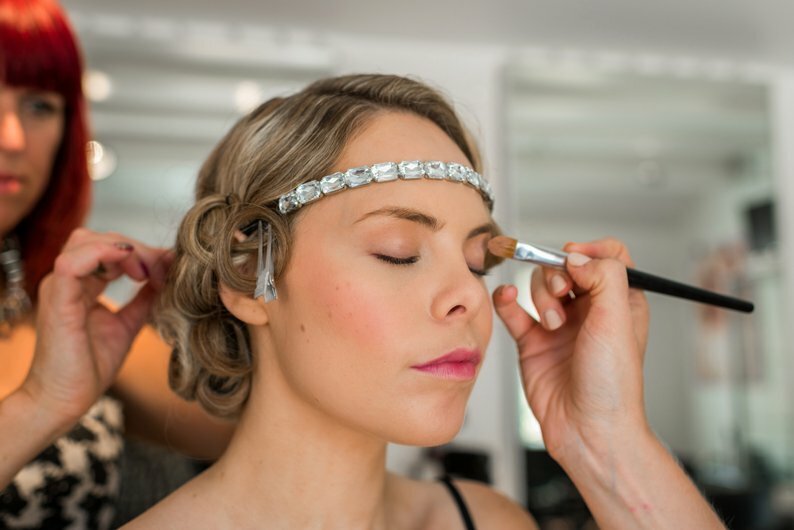 Not only do I like to personally train makeup artists that are part of my team, but she has also been assisting me on various weddings and photoshoots for years. 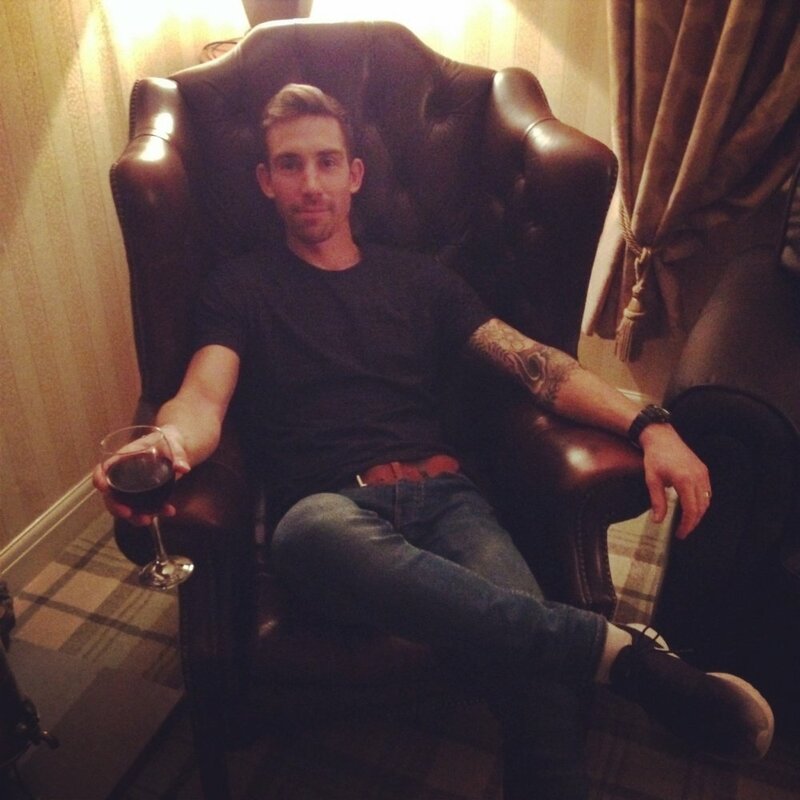 I have rather high standards…. and rightly so! She’s great! 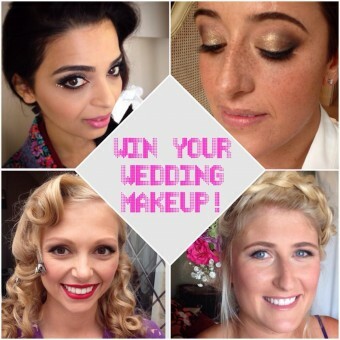 My Makeup Artistry Team have been chosen because of their professionalism and attention to detail. Their talent of applying beautiful makeup, industry understanding and beauty knowledge means that my high standards are met. I am confident that you will have the quality bridal service you deserve. Tell us a bit about yourself and how it all began? I have always been a lover of makeup and beauty from a young girl. I grew up with my older cousins who were a massive influence on me. They would sneak me up to their room and apply probably far too much makeup for my age but I would be in my element. Fast forward a few years and so during my GCSE’s and A-levels I took art, I’ve always found that I’ve had a natural artistic flare which of course comes in very useful with my job creating something that is original. Nearing the end of my Business Studies Degree at university I’d become even more fascinated by the make up industry. I began searching for courses that would give me a further understanding of makeup application and its history. I decided upon The London School of Makeup and Beauty. I loved every minute of it. Until that time everything I had learnt had been self taught. 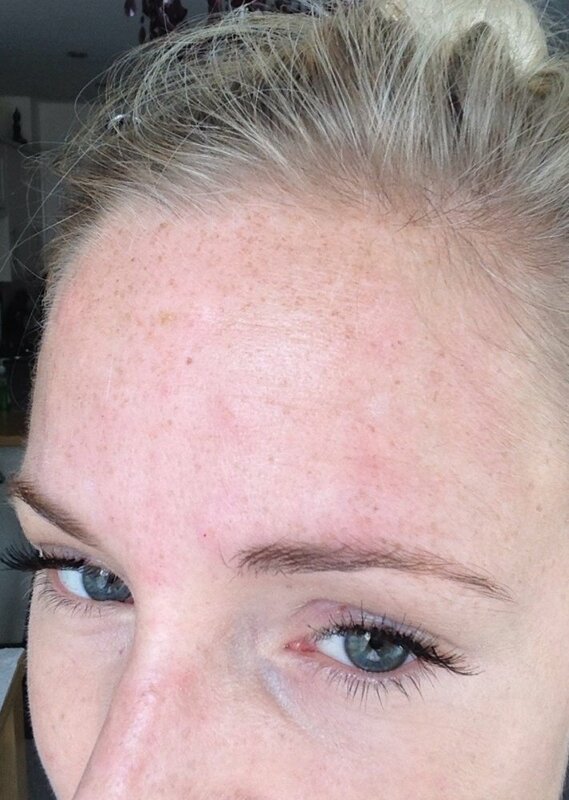 I have also learnt about applying individual semi permanent lashes. 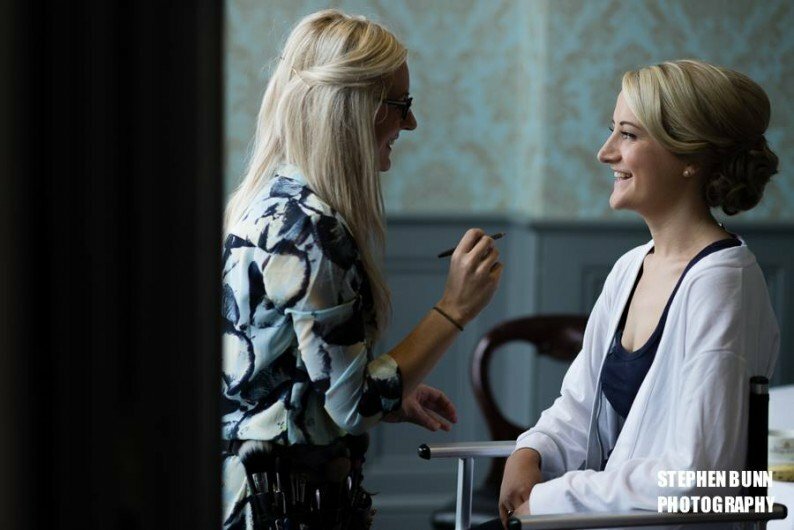 Since then I have been involved in photo-shoots, portraits, beauty and bridal makeup in order to learn and gain experience from every angle of the make up industry. Firstly I love the fact that it doesn’t feel like a job. Its something I’m passionate about, which ultimately is my key driver to being successful and I think this shows through my work. Secondly the lovely people I get to meet, listening to plans of their wedding or their big night out buzzing with excitement. Ultimately I love watching my client when they look in the mirror and have a massive smile on their face. I love that you can see that they are oozing with confidence. It’s a great feeling making someone feel amazing and beautiful. How do you describe your style and how are you different? 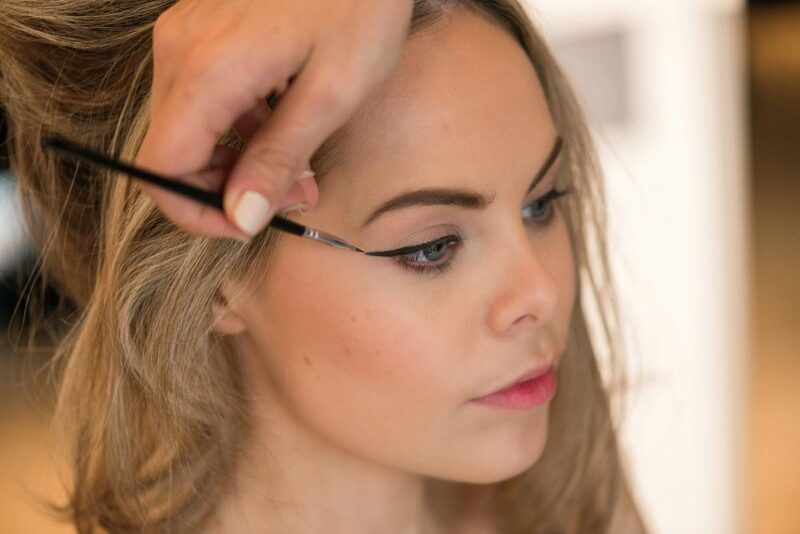 My style varies depending on the type of makeup required and the event it is intended for. I enjoy the challenge of experimenting with colour, giving drama, creating a look that is perhaps bold and daring. What makes me different? – I am a young adult, I understand the need for a sense of professionalism but I also understand the importance of needing a sense of fun, laughter and personality to the occasion. Making it a happy memorable time. No one wants a moody makeup artist with zero personality that clock watches. I am a massive fan of Pinterest. I can spend hours searching through categories. It allows me the freedom and creativity to find an idea and make it my own. I have always been someone that loves having and keeping memories and take photos to look back on and adapt to the latest trends. 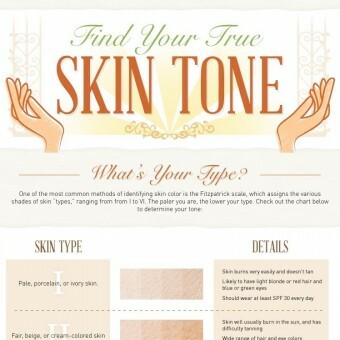 I also find it is a useful tool for clients that are unsure of the look they are after. Together we can collect various makeup styles and create a look that best suits their personal style. I also find inspiration looking through beauty blogs, the latest trends, catwalks all of which hold useful information about fashion/ makeup/ beauty trends that are the latest craze or soon will be! All these things enable me to broaden my knowledge and experiment with different looks and products. 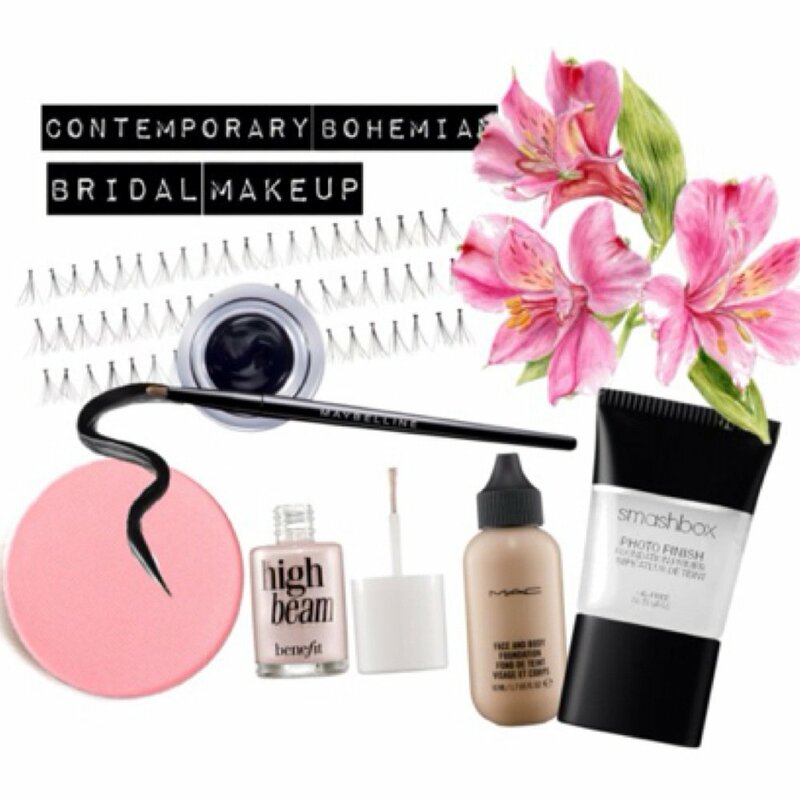 What do you love most about being a bridal makeup artist? I love the elegance and romance of bridal beauty. Creating a look that is trendy yet classical, timeless. I love being apart of my client’s special day. The morning of the wedding is so much fun, exciting, everyone is being pampered, and a cheeky bucks fizz always goes down a treat!! Ultimately I love painting their faces. 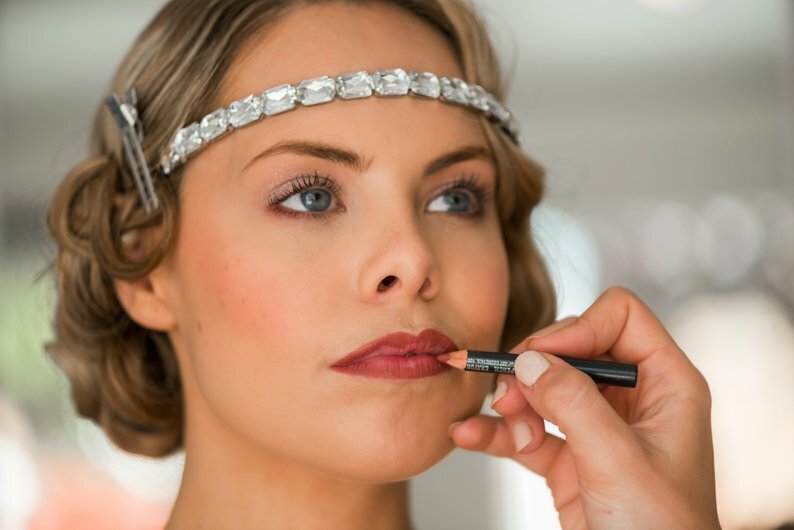 Creating a makeup look that brings out the natural beauty of the bride. 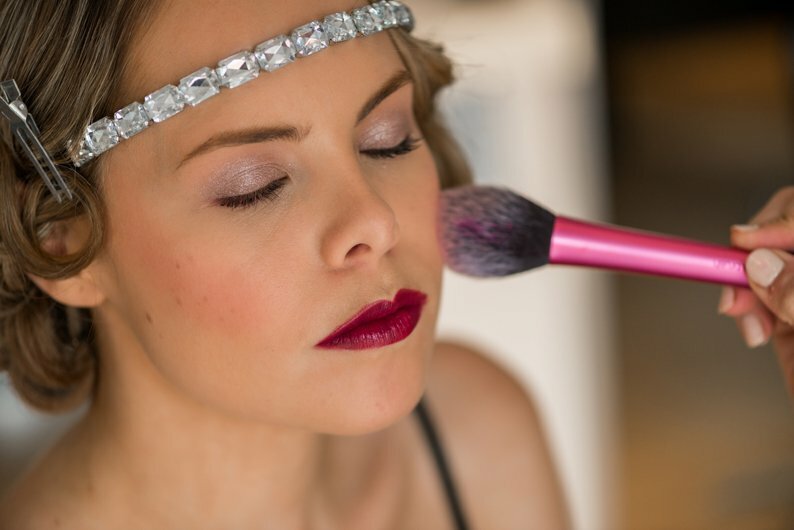 Creating flawless makeup that makes her feel and look amazing on her very special day. I love the confidence makeup gives and it’s a really rewarding feeling knowing that a bride is smiling in the mirror because of my work. 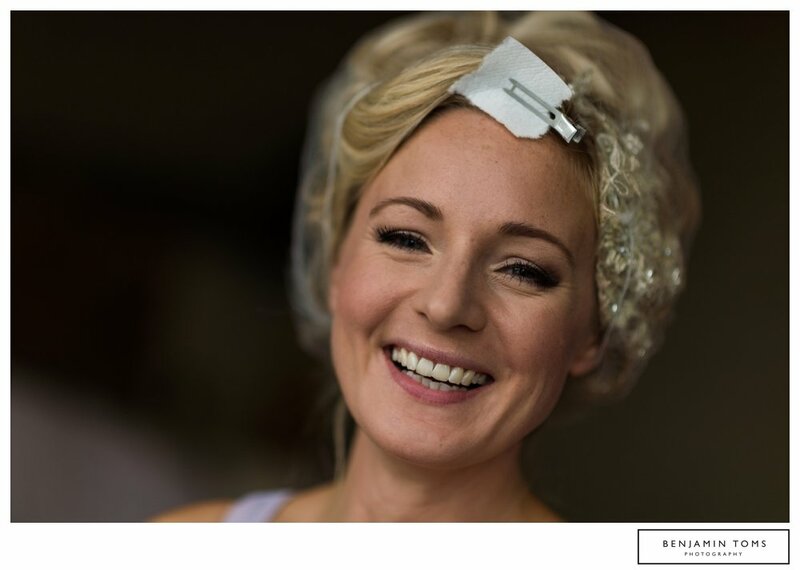 I love it when I get to see my brides photos, and one in particular that I knew would be utterly gorgeous was Kerry! 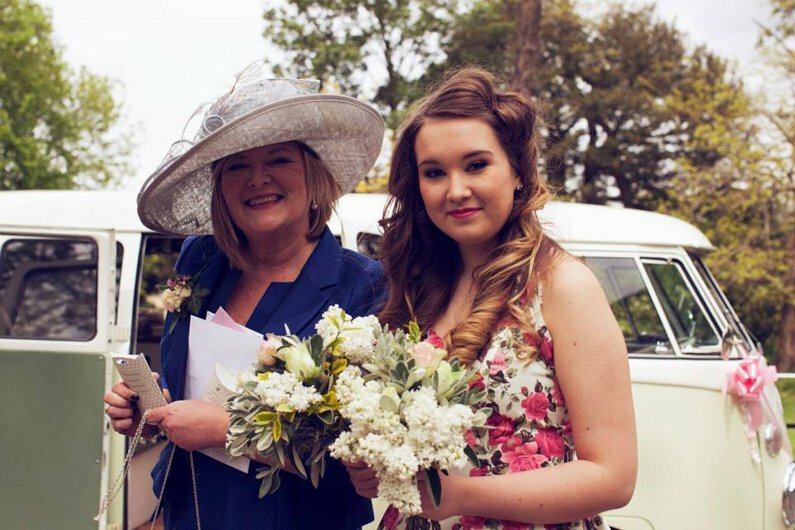 When we met at her trial it was apparent that her attention to detail was second to none, especially as she was making everything herself and her thrifty mum was collecting hundreds (may be a slight exaggeration!) of vintage tea pots for her afternoon tea. This was her choice of wedding breakfast and as a huge tea and cake lover I am a big fan of this idea! It was a December wedding at Lympne Castle and this vintage wedding theme was slightly on the festive side. 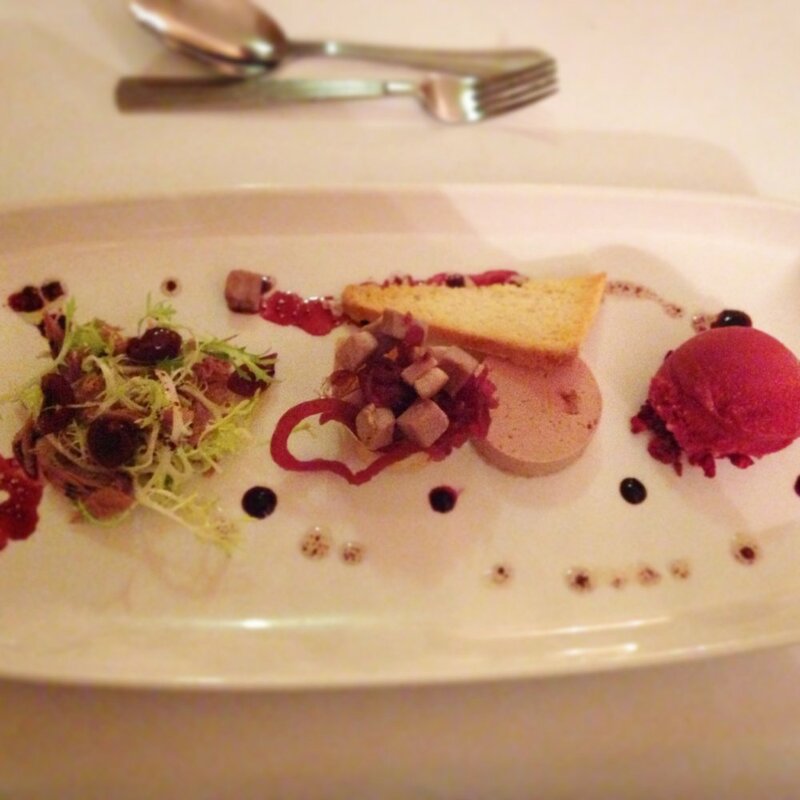 I think if you are going to have a winter wedding – this is how you do it! 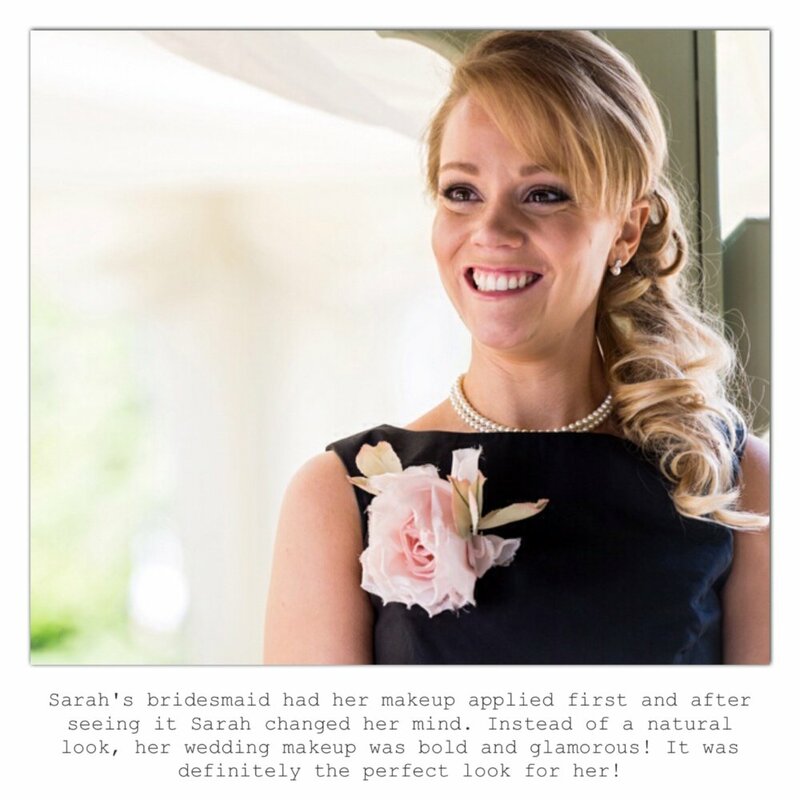 As Kerry’s bridal style was vintage inspired, her makeup was too. Her skin was kept quite matt with medium to full coverage foundation in MAC Studio Fix Fluid in NW10, which is a perfect colour for her porcelain skin. To create that natural ‘just got in from the cold’ soft pink cheeks, I used a sweep of pastel pink blush in Well Dressed and for more intense colour I added a pop of a deeper pink on the apples of her cheeks in DollyMix. For Kerry’s eyes I used a combination of short and medium individual cluster lashes from Ardell to create a ‘sweeping’ flick effect that complimented her pretty eyeliner flicks in Blacktrack, and no vintage look is complete without the signature matt MAC Rubywoo red lips! This wedding was styled beautifully and if you saw it in a magazine you would think it was a wedding shoot or designed by a professional wedding stylist. This is why my brides are so cool!!! 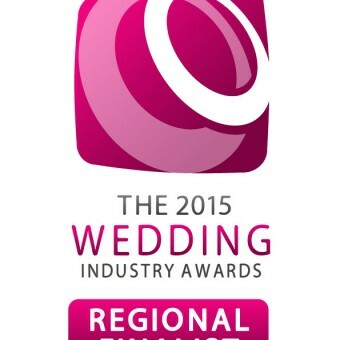 Many of my 2014 brides will have known I was a Regional Finalist in the 2015 Wedding Industry Awards. 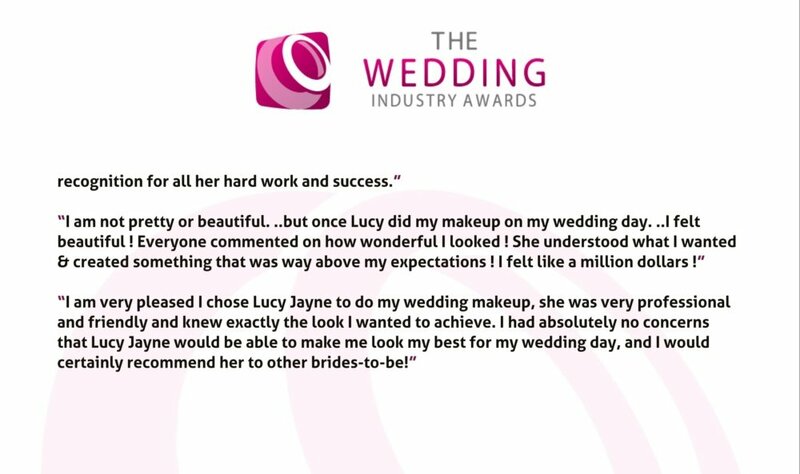 Unfortunately I didn’t win but I was shortlisted in the Regionals and after the awards I was able to see all of the most amazing (anonymous) comments from my past brides that had voted for me. 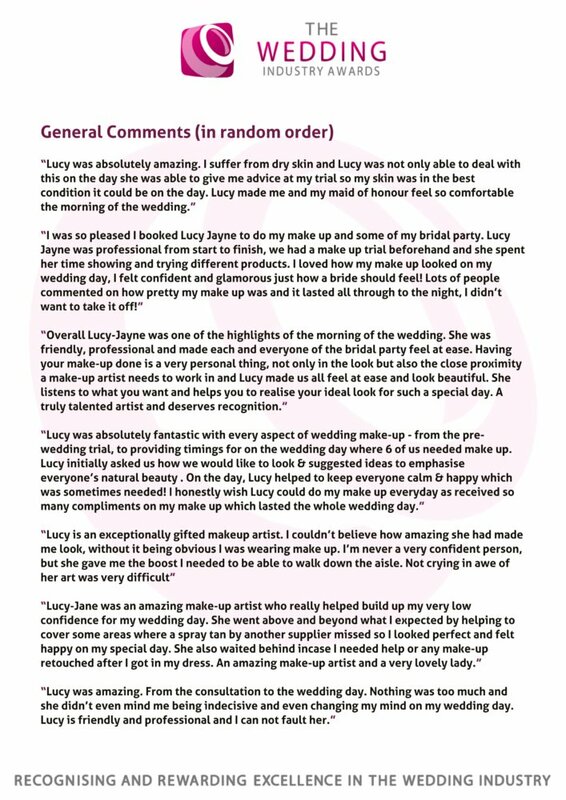 Here are some of the wonderful things my brides said about my me, my makeup and my services… Overwhelmed and flattered is an understatement! Back in September I was contacted by a very nice man by email, it wasn’t the normal ‘I have $1000000 and want to give it all to you if you can give me your bank details and pin number’ spam emails I am used to! 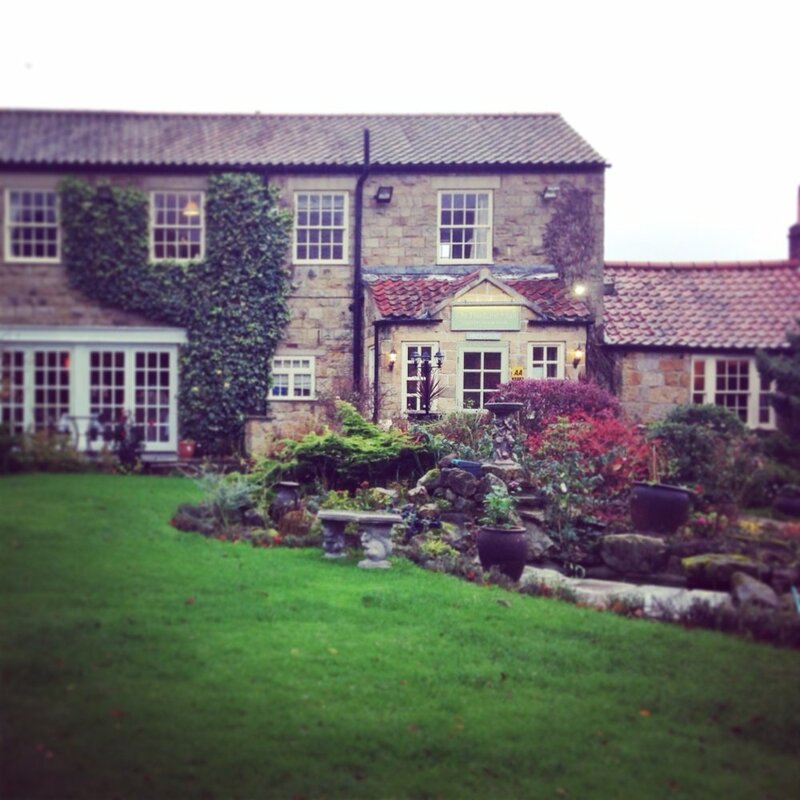 It was an invitation for a complimentary stay in what looked like a beautiful country hotel – The Ox Pasture Hall, Luxury Boutique Hotel in Yorkshire, in return for an honest review. As I live in the South I thought it was a bit to far for a one day stay and I pretty much wrote it off, that was until I had a light bulb moment!! We were planning on having a few days away after our wedding for a mini moon and hadn’t decided where to go. 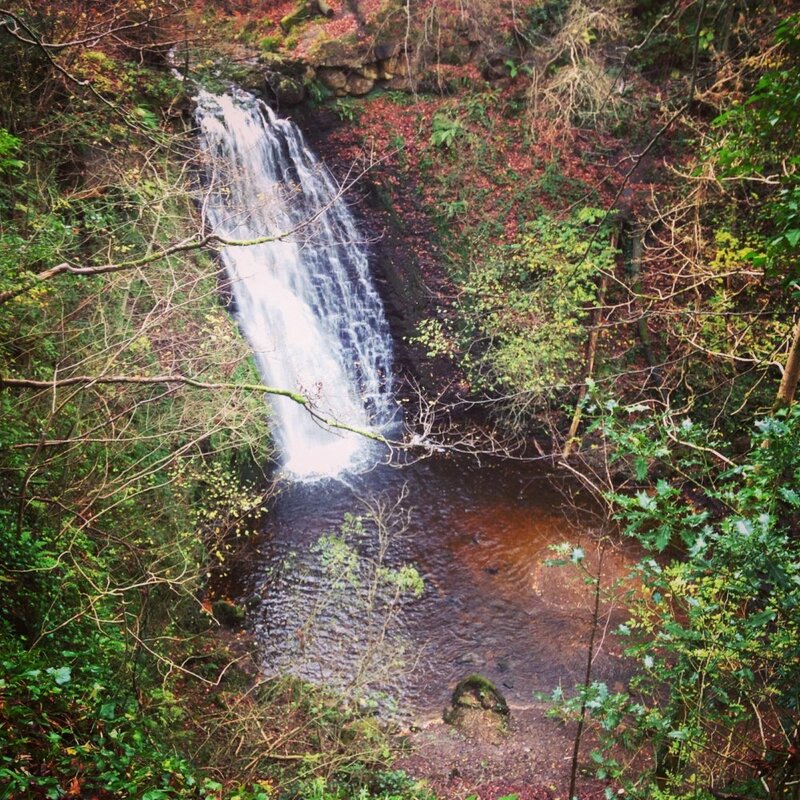 We are an outdoorsy couple and fancied going somewhere in the UK for a post wedding chill out. When I realised we could bring our dogs it sealed the deal! We set off on our journey hoping for beautiful countryside, lovely dog walks, friendly people and importantly somewhere we can unwind. That is certainly what we found! 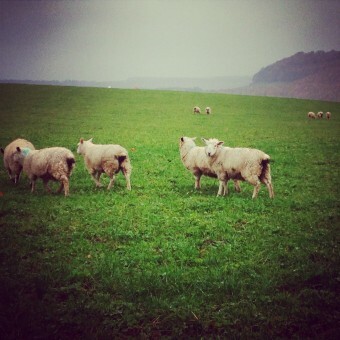 The Ox Pasture Hall is set in amongst 17 acres of lush green countryside surrounded by fields, woodland and a lot of sheep! 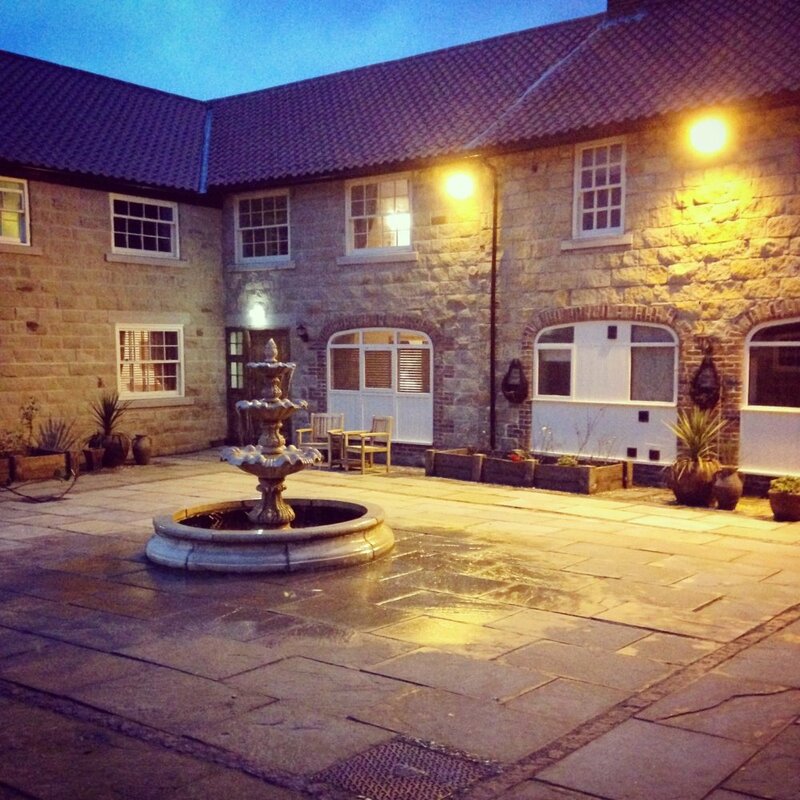 It’s a cosy retreat and regarded as the most romantic hotel in Yorkshire! 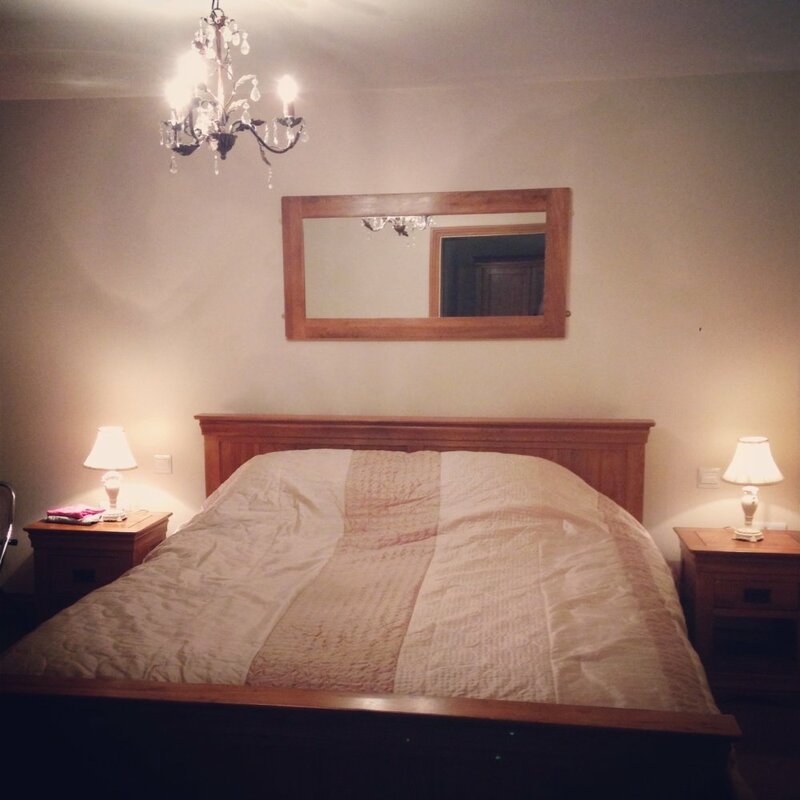 When we arrived we were checked into our room which was an absolute delight. 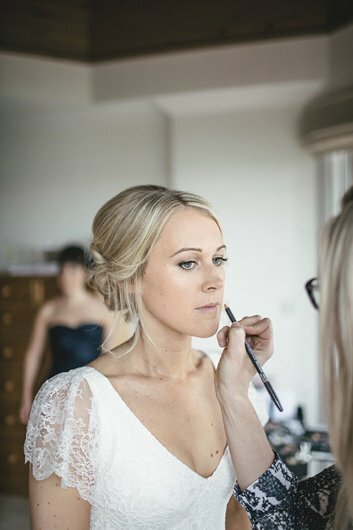 It was a large airy suite with plenty of natural light (as a bridal makeup artist I am always drawn to the natural light!) There was the added luxury of a tv a in each room, huge bed and his and hers basins along with a walk in power shower in the most beautiful bathroom (this was especially nice because our shower at home is from the dark ages). It was rubbish weather and a little walk from the main building, but this wasn’t an issue because there was shelter and it was nice to walk through the prettiest courtyards. I can imagine how lovely it must look on a sunny day! 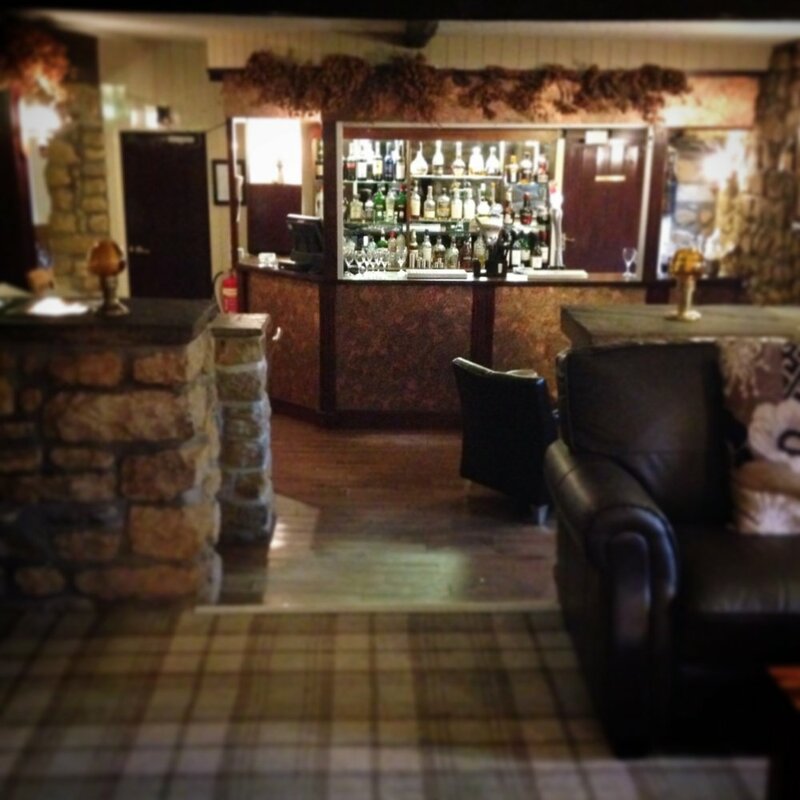 We booked in our afternoon tea reservation at 3pm so we quickly tidied ourselves up and went down to the bar. 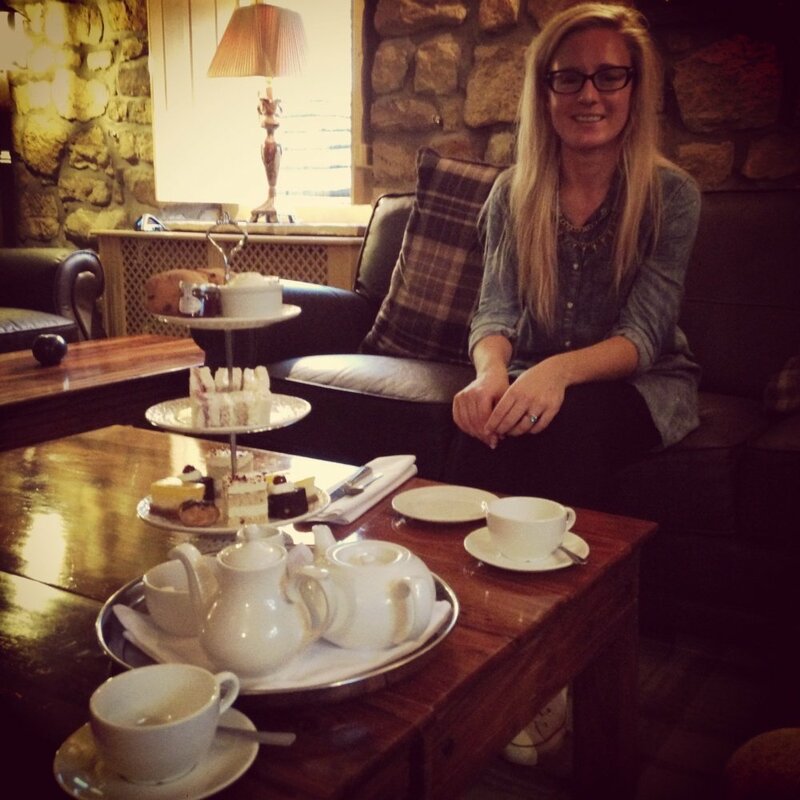 The afternoon tea was served in the ‘snug’ area in front of a warm cosy fire and it was amazing! 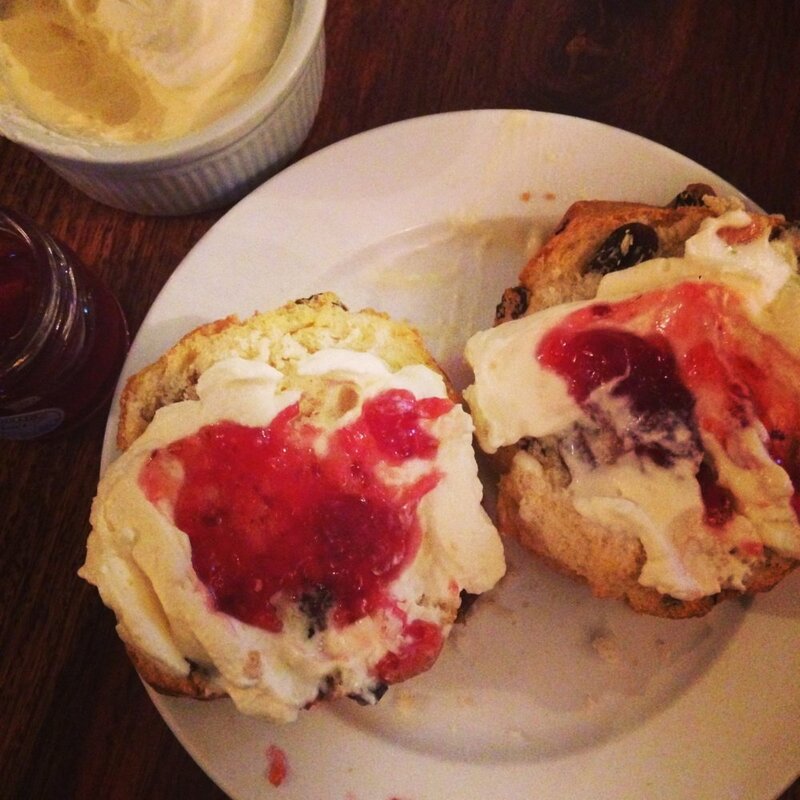 I love nothing more than a good brew, cakes and scones (in that order) so this was such a treat for me. Mr Brown is quite the ‘mans-man’ and didn’t really get what I was fussing about untill he tucked into the warm home made scone! 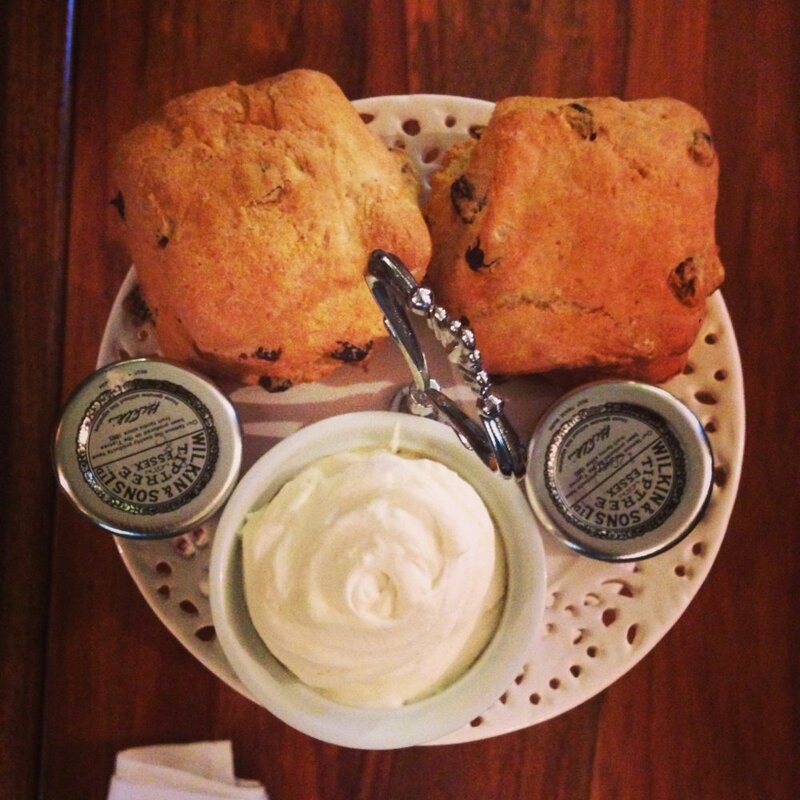 We can safely say he is an afternoon tea and scone convert now! 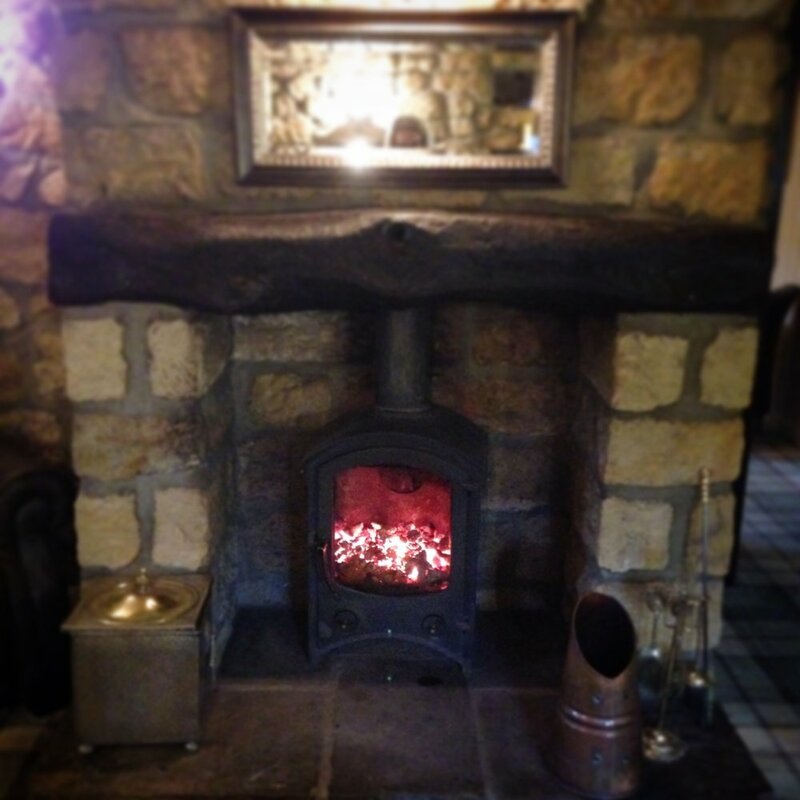 The dogs were allowed everywhere other than the restaurant so we had them with us, Betty the pug was too nosey to settle down but our staffie Murdoch laid in front of the fire while we had a little snuggle on the sofa and sunk into a massive food coma. 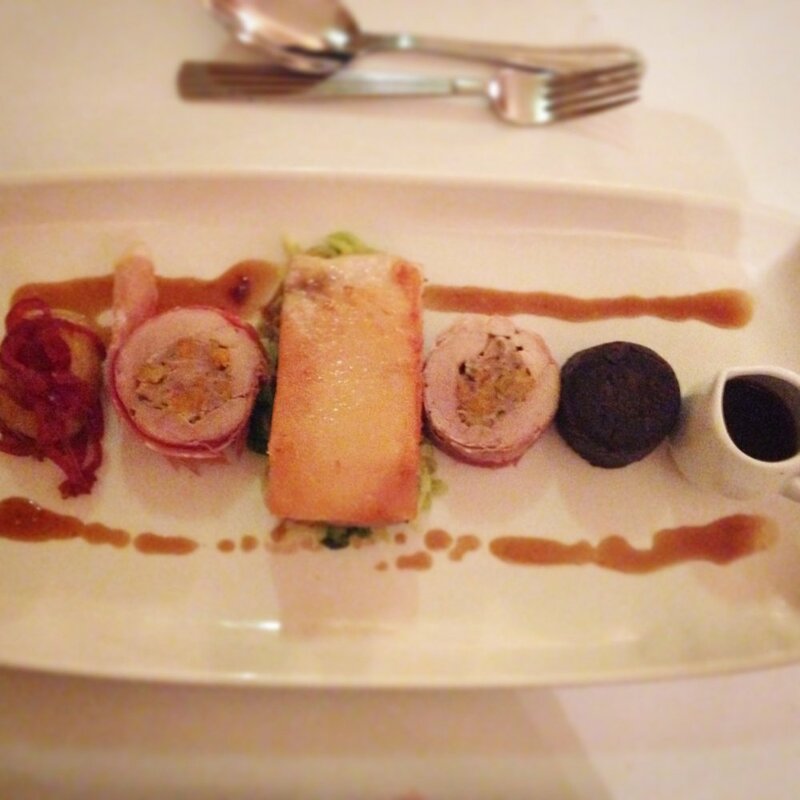 The hotel was a nice combination of a warm rustic country pub, stylish restaurant and luxurious bedrooms. My favourite part was the pub and the welcoming rooms that surrounded it, furnished with chesterfields, and over sized cushions. It was a shame that while there was a roaring rustic fire in one room, in another was a dated electric fire. Being in the wedding industry I can help but have a nosey at the wedding facilities. 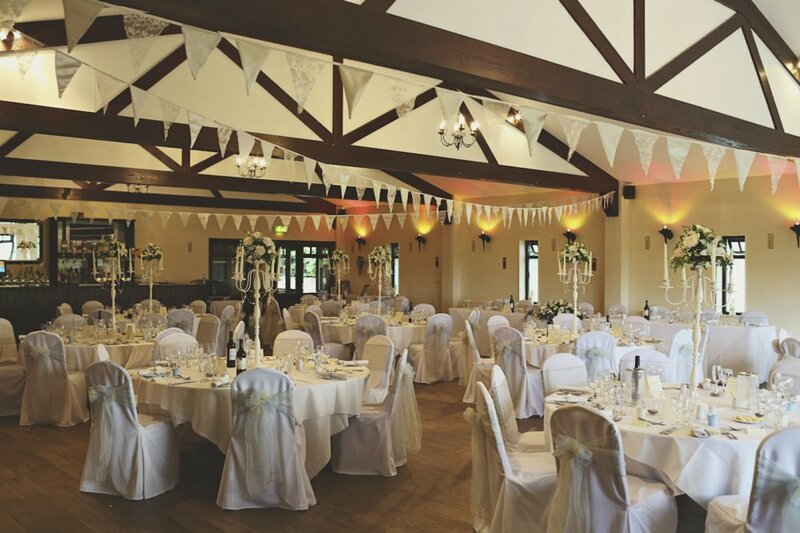 The Dovecote Suite is purpose built function room that resembles a large modern barn, it sits amongst the rest of the building seamlessly and is the main facility for weddings, like all weddings the occasion is the same but the brides style is different and the barn-like function room is a perfect canvass should a bride want to dress it with their own personal touches! 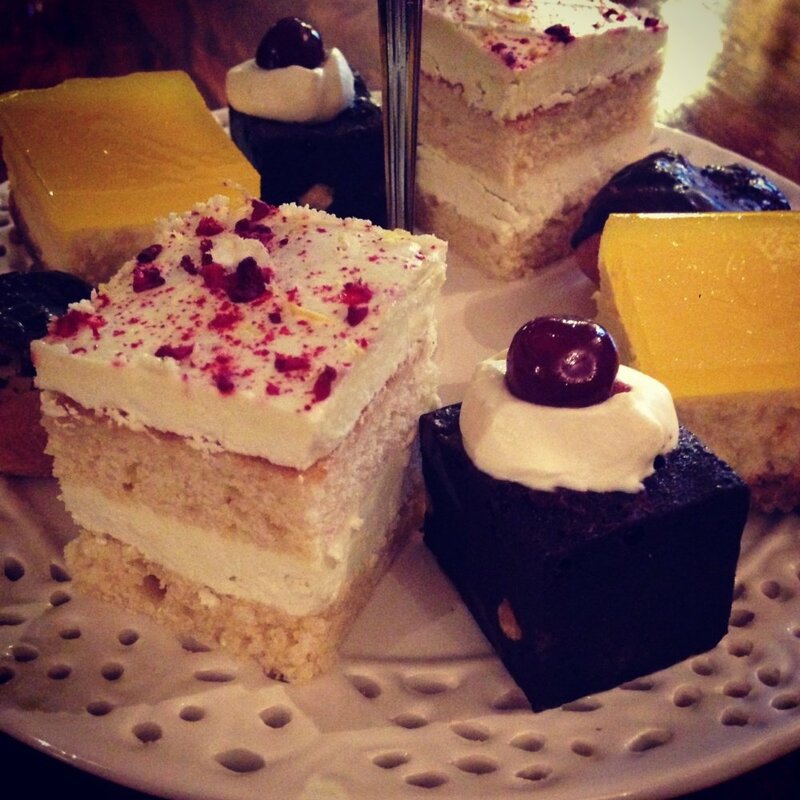 We booked our evening meal quite late as we was still so full from afternoon tea! Our waiter bought us out two glasses of prosecco while we mulled over the menu. Us Browns are really into our food and everything sounded delicious. 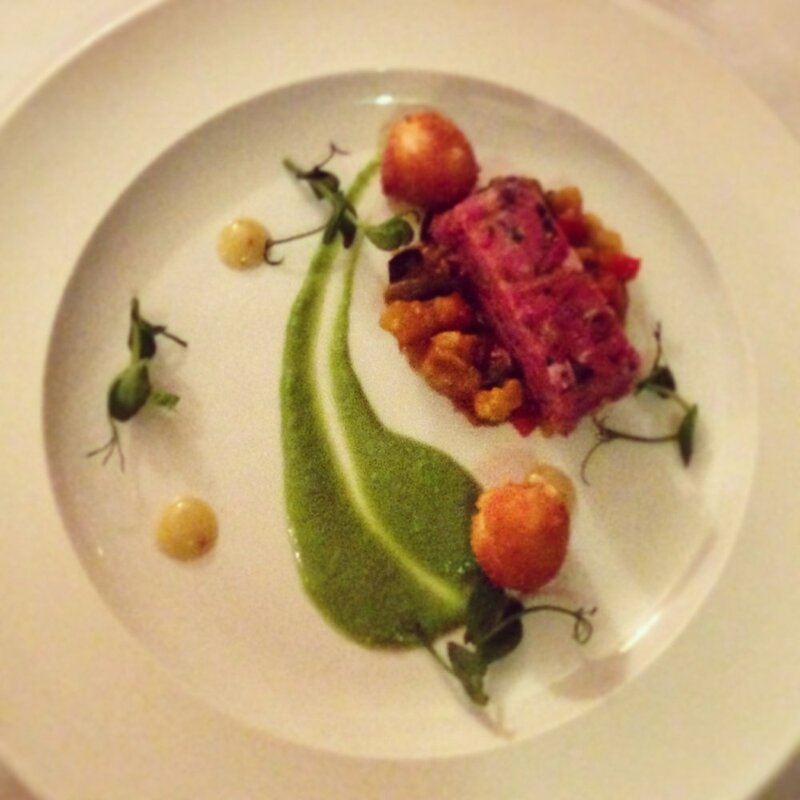 When the food was presented to us it looked like something from master chef and tasted incredible, I might even have to say Michelin star standard! 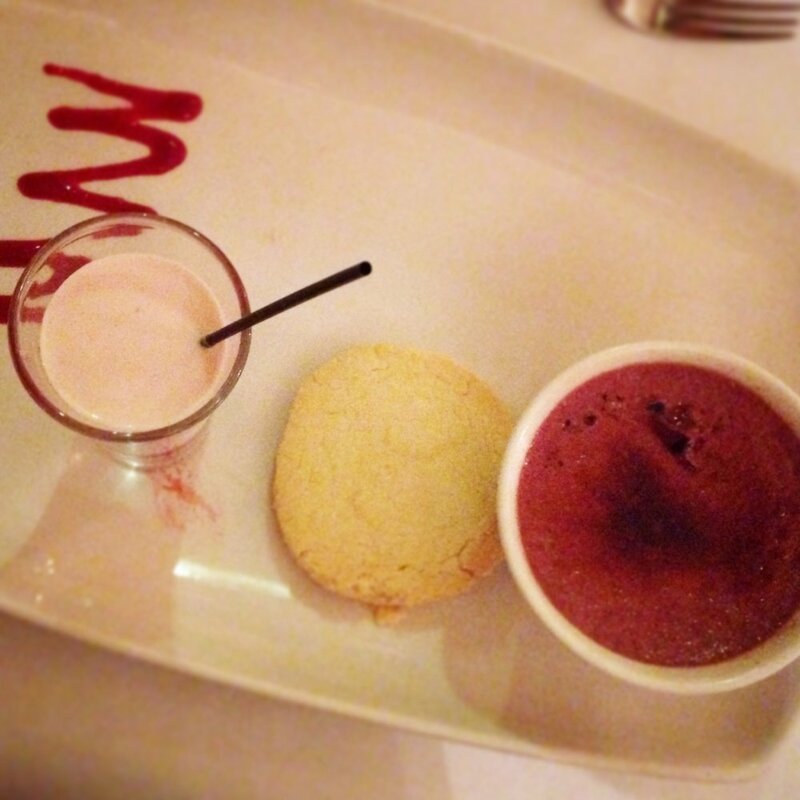 We enjoyed our food whilst our friendly waiter chatted away with his local knowledge and funny anecdotes. The following day we woke after an amazing sleep in the giant bed, and it must have been that quiet that even the dogs didn't wake us. We had to get a riggle on so we could make the most of the hotels grounds and of course breakie before our drive back home, daan saaf! Mr Brown opted for the standard full English but I was still so full from our 3 course meal so I went continental. We grabbed our walking boots and explored the hotel grounds, in the rain, with the dogs. We had such a great stay and it really is a charming and friendly place. I think the only shame is that it isn't closer to us, especially when the barman was telling us about the Christmas accommodation. How nice to be able to stay somewhere as lovely as that and be catered for, so we don't have to worry about cooking the Christmas dinner! The Ox Pasture Hall is close to so many great spots to visit. While we was here we made the most of the fantastic surroundings and explored the area. 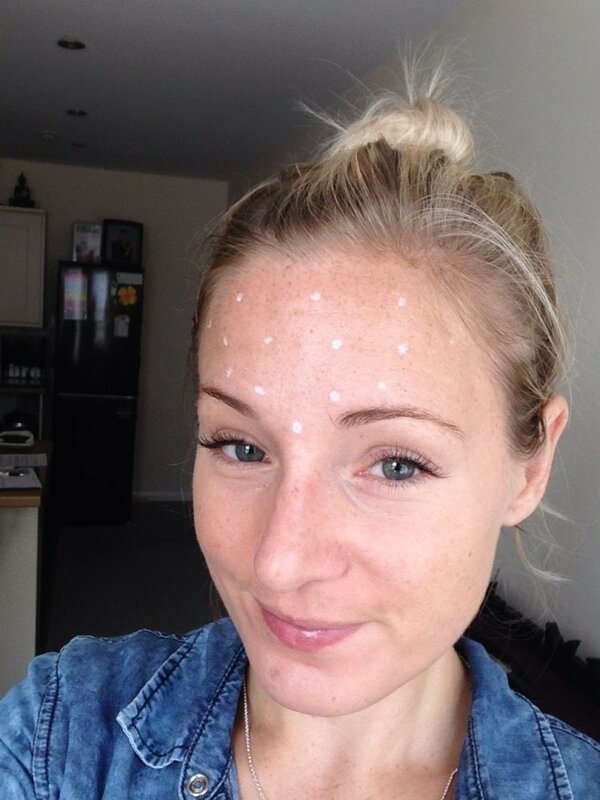 What happens at the initial bridal makeup consultation practice session? 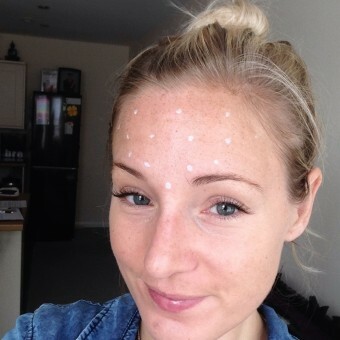 The consultation is not timed and my promise to the bride is that I will only leave once she and her bridal party are 100% happy I normally suggest allowing 30 min’s – 2hrs per person and the consultation will need to be carried out during the day because daylight gives the truest reflection of how their makeup will look. I create face charts with in depth notes of every member of the bridal party so I know exactly what I am doing on the wedding day. The wedding day is discussed at the consultation and I provide the bride with a timetable for the morning so she has a clear idea of the makeup running time. 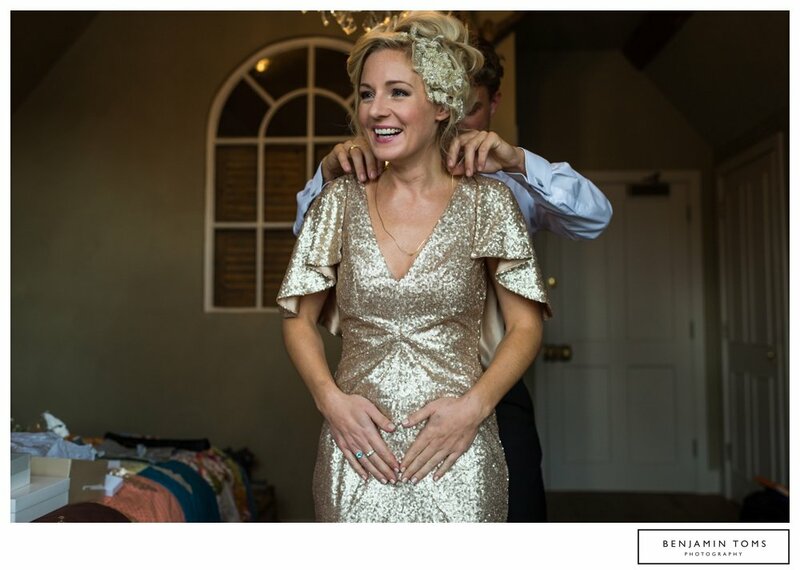 I also incorporate the hairstylists times, find out if the photographer needs time with the bride for formal photographs (this will mean getting ready earlier) what style her dress is and how long it takes to get into it and also if she needs to talk to the registrar. Timing is so important on the morning of the wedding and the last thing I would want is to have to rush. 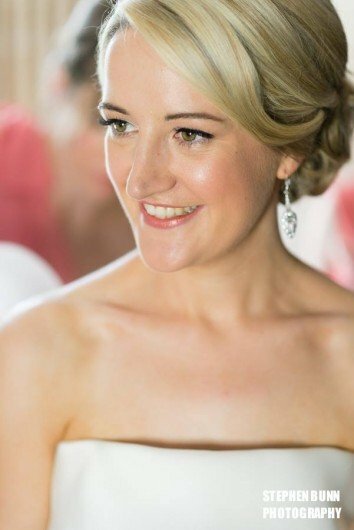 I explain that I would allow 30/45 minutes for each member of the bridal party and 60 minutes for the bride, who I always do last so she is immaculate just before getting into her dress. I like to create a fun and relaxing environment for the bride to enjoy the experience. 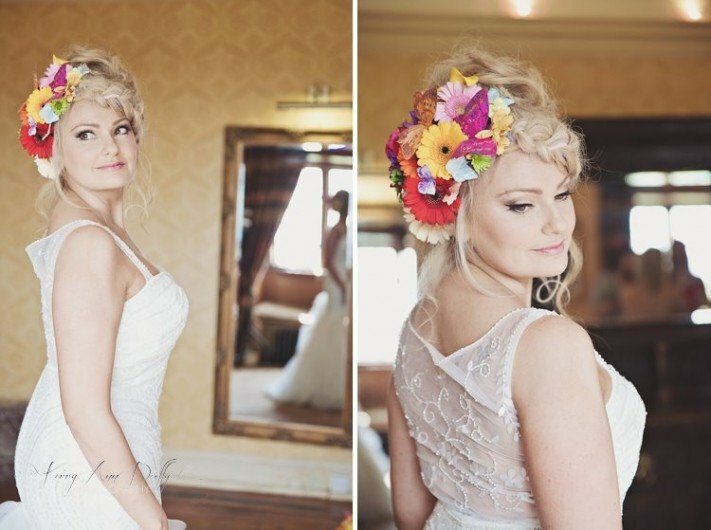 How do I help the bride to find the right look for her big day? 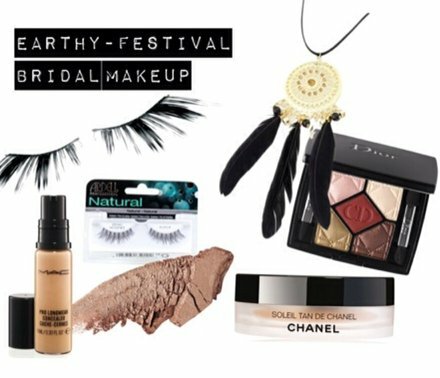 The most important thing is to enhance natural beauty and create flawless skin; the rest is listening to my clients needs and then building upon that to design their perfect wedding look. What I have learnt is that my opinion only matters to a certain extent. I have the skill to apply the makeup and give advise but when a bride has her ‘perfect wedding look’ in her mind its my job to intemperate it the best I can. 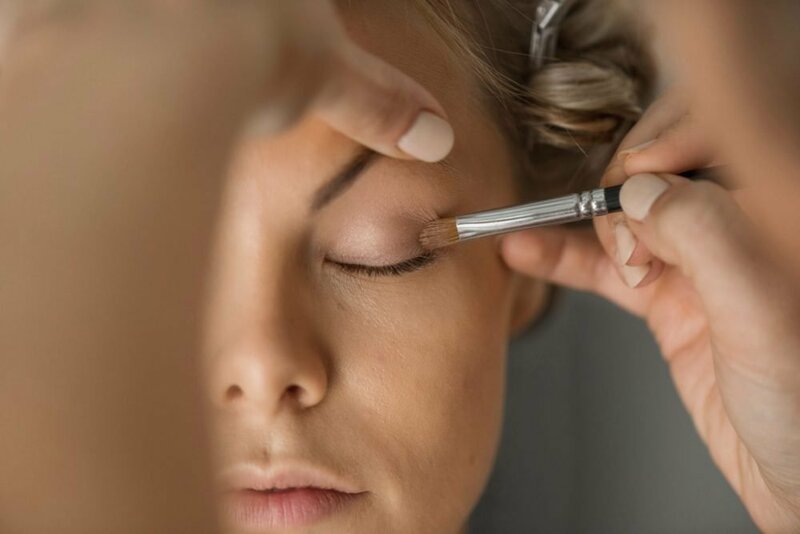 This will start by initial chats on the phone or by email and once I meet my brides at their consultation (normally 6 – 8 weeks prior to the wedding) we have a chat about their wedding style, their personal makeup style, colours, and discuss images of makeup that the bride likes. I always explain that once I start to apply the makeup, it will always be a more minimal/natural version of what I think they want, because I never assume what I do will be the finished article. 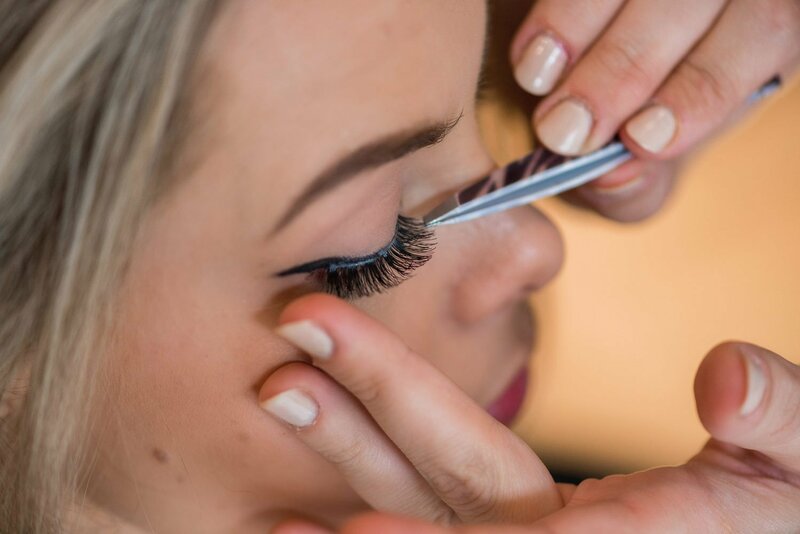 My brides will then see their makeup, we look at the option of using lashes (strip or individual) and the do the tweaks and changes of colours to build upon the final look. Changes are sometimes minimal but other times we can work together to create a much more dramatic finish. I try to use a good cross section of premium products that will last the duration of the day and well into the night and whether it is a summer or winter wedding. 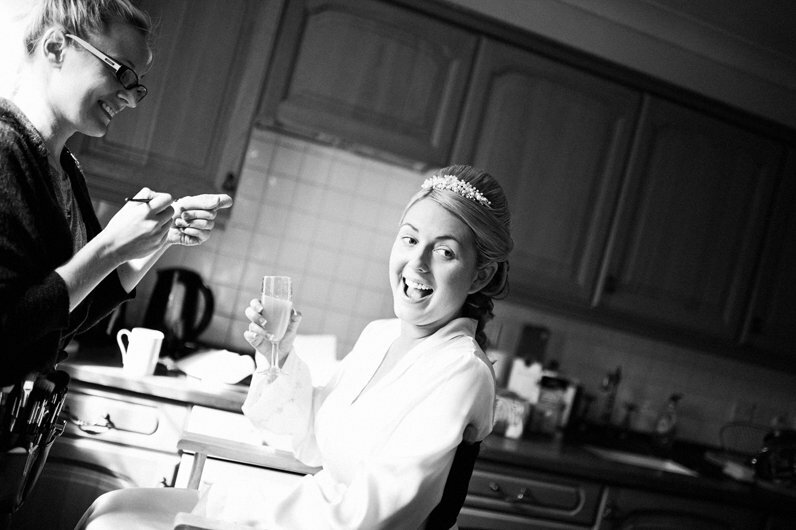 It all helps to makes the bride feel pampered, because this will be a once in a lifetime occasion. 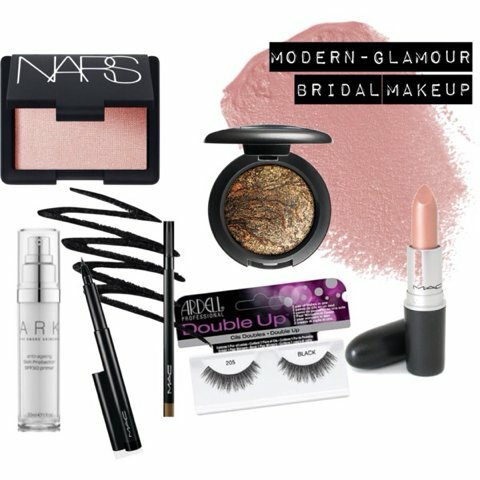 The main brand I use is MAC, I find that the MAC products are great for fashion and bridal and the quality and longevity of the products are what’s important when it comes to bridal makeup. I also use Dermablend, which is a full-coverage concealer, it is a concealer that is waterproof, smudge-proof, non -transferable and full coverage so brilliant for covering severe blushing, tattoos, birthmarks and I also use it as a concealer for acne. I continue to invest into new products all of the time. 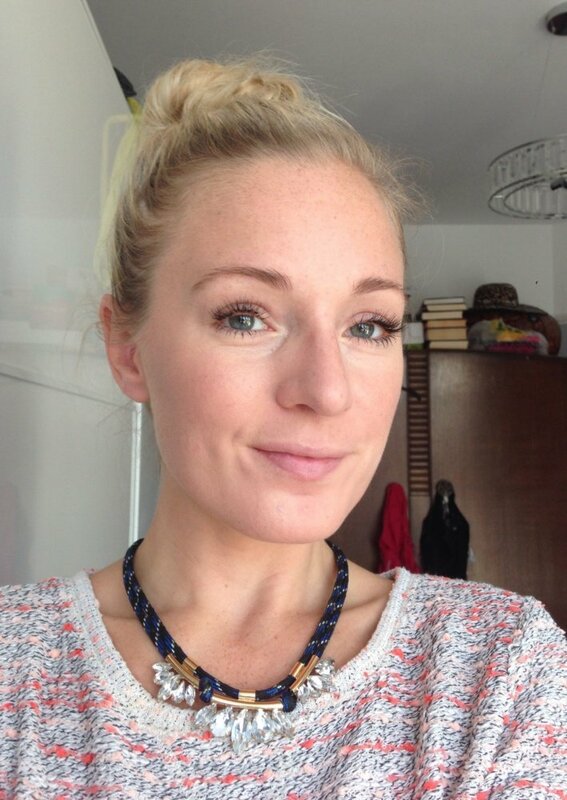 Makeup – MAC, Illamasqua, Bare Minerals, Benefit, Smashbox and many more! … If I am happy to use it on myself I am happy to use it on others! 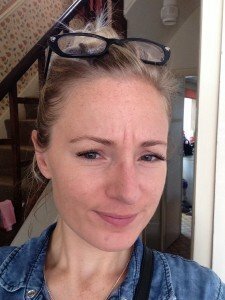 Do I provide makeup services for other members of the wedding party? Yes! I like to include as many members of the bridal party as possible, I understand that sometimes its not possible for everyone to attend the consultation so I will then allow a little more time on the wedding morning so we can discuss their needs before I apply any makeup. The thought of someone else applying your makeup can be quite daunting for some people. 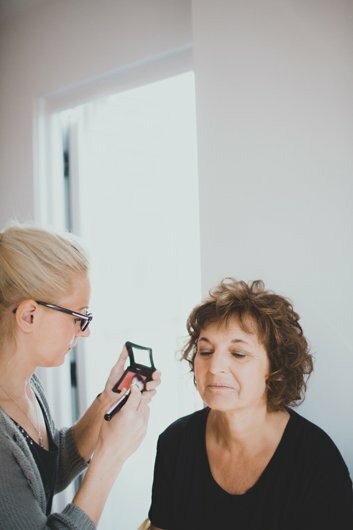 If a nervous mother of the bride/bridesmaid/mother in law is toying with the idea of makeup but they are worried they will feel pushed into looking like a clown/transvestite (I hear this a lot lol!) I suggest that even if they are not sure they should come to the bride’s consultation and they can get to meet me, we can have a chat about it and I can give them the reassurance they need. If they are happy I can then apply their makeup as a trial with no obligation that they have to commit to it on the wedding day. I am glad to say that they aren’t scared by the end of the trial and will generally book in for makeup on the wedding day. On occasion when a bridesmaid has been adamant that they don’t want their makeup done they have a change of heart on the wedding morning so as long as time allows I will always try to accommodate them! 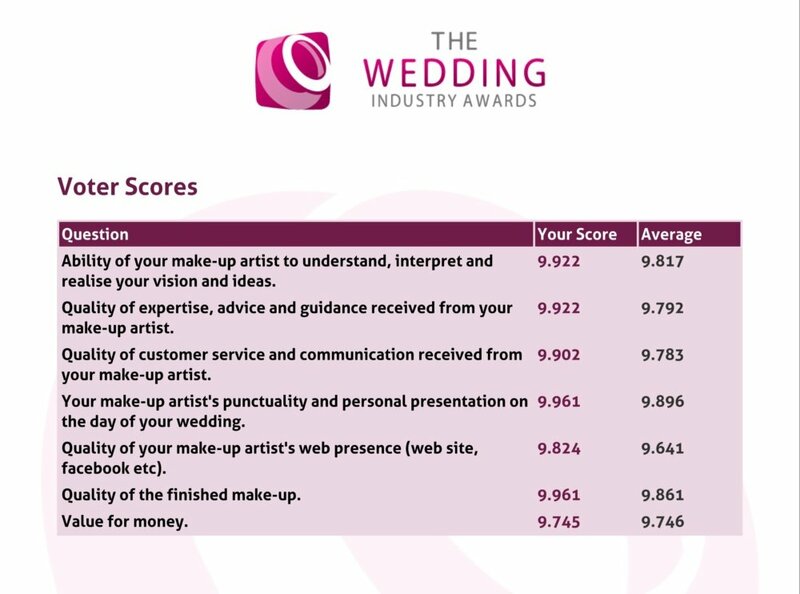 When it comes to the wedding day I believe that specialising in one thing is far more important than being adequate in two (on average I can apply makeup for 5-7 ladies on the wedding morning, time allowing). 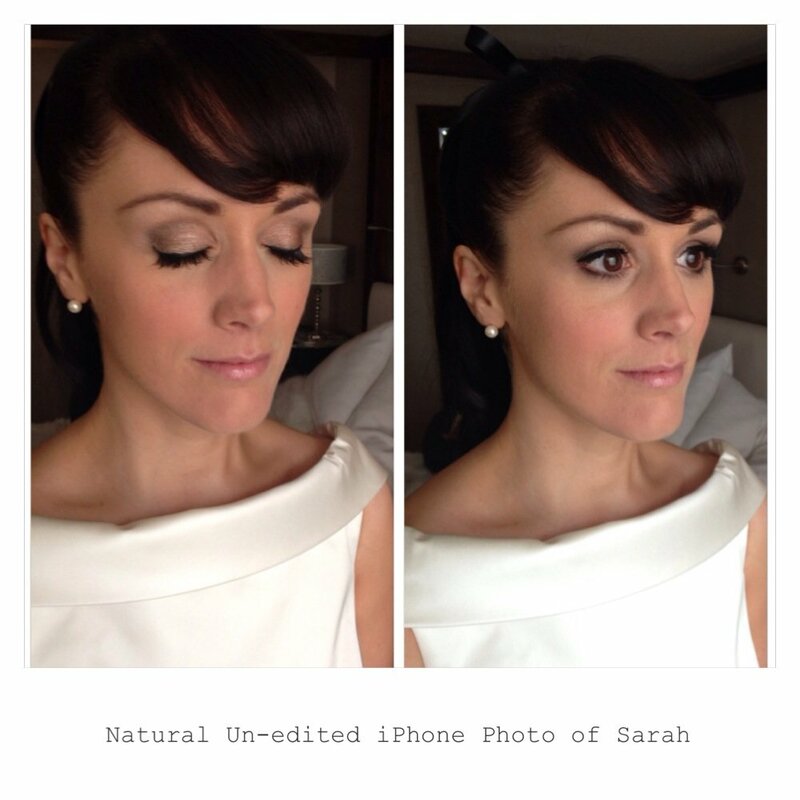 I like to keep to makeup application only the wedding day and being completely confident in my skill and service. I work alongside some amazing hairstylists that I am happy to recommend to everyone because their attention to detail is the same as I mine. I like to focus on the makeup and it has to be perfect! I do everything I can to make the wedding morning a fun – not nerve-wracking experience and I like to fit into the environment. I do what I am there to do, help out with any dresses if asked, give a final makeup touch-up, I will leave samples of lipstick/lipgloss that I use on everyone and sometime concealer, if any of the bridal party has a ‘breakout’ (they may need to touch up later in the day) and leave once everyone is completely happy. 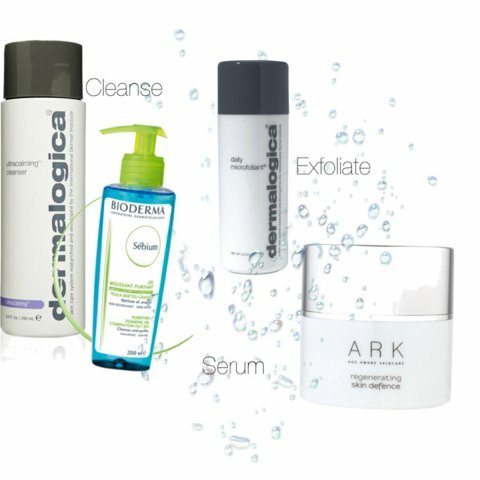 Do I offer other beauty treatments? Yes. 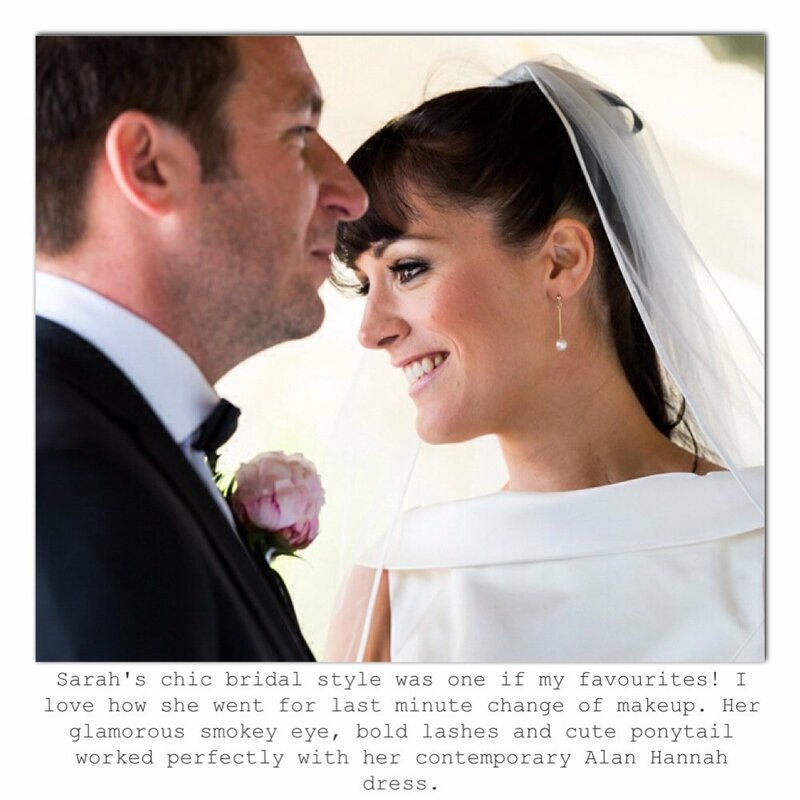 I offer a few beauty treatments to give my bridal clients a wider service. 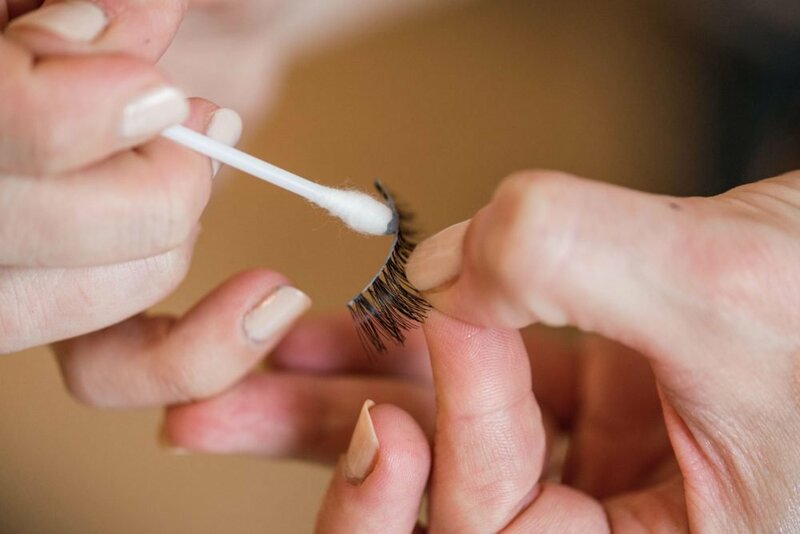 The services that I offer are normal manicure, pedicure, Gel manicure/pedicure and spray tanning (I am also in the process of training in Eyelash Extensions). Having a full understanding of the above treatments means that I am able to advise my clients if logistically I am unable to carry out the treatment. There is nothing worse than a terrible spray tan or lash treatment so I am able to advise what are the best brands to use, timings and sometimes recommend a therapist if I am unable to do it! 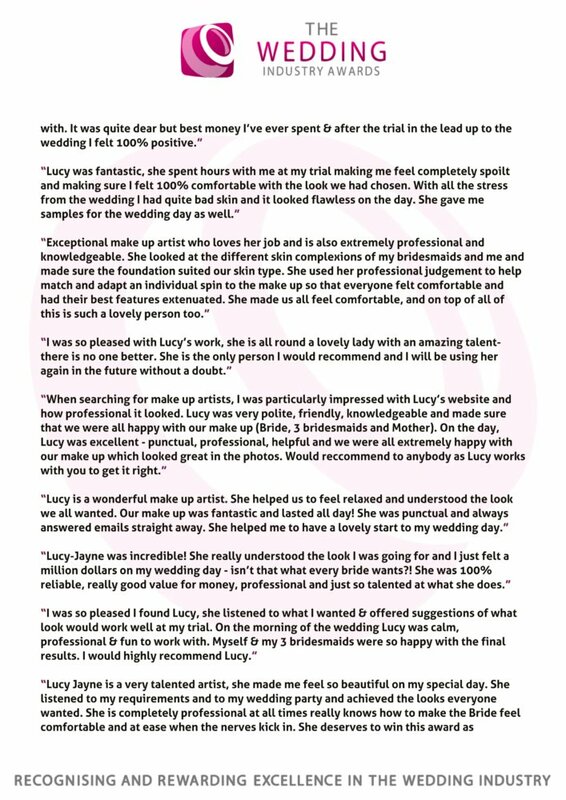 The additional treatments I offer are a great source of income the most important thing is that the bride has a great experience every step of the way and I am glad that I can cater for their pre wedding pamper parties or hen do’s. Here is the last of my favourite bridal looks (for the moment). Sarah was one of my early Spring brides of this year. You may have already seen one of my previous posts about her and how much I loved her chic glamorous makeup style! 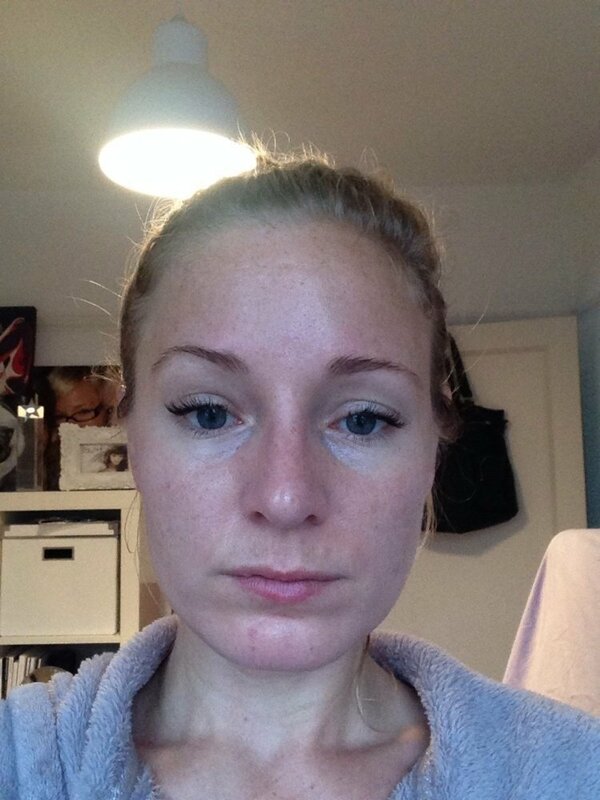 Below is how I created her makeup style, and as you can see she had a trial and then changed her mind on the wedding day. I am glad she did because her stronger makeup look worked perfectly! Here is the team behind Sarah’s wedding!